Grapha Maschinenfabrik Hans Müller AG. 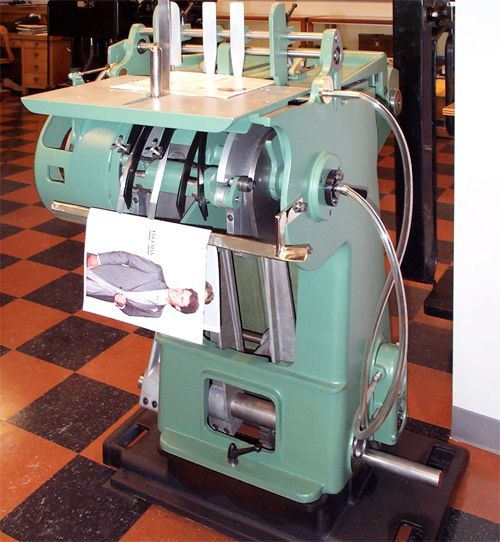 revolutionized the saddle stitching business. 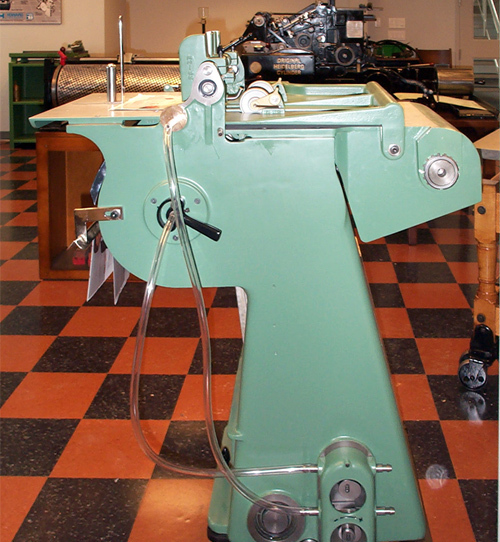 This is a restored 1955 model E3 automatic feeder which would have been installed on Müller’s first design BSA or JG saddle stitcher. Using vacuum, this feeder could open the signature just one simple way. Sheridan and McCain were both dominant manufacturers at the time and had designs much more complex and versatile. However, it was Müller who saw the need for a very simple easy to set-up machine. 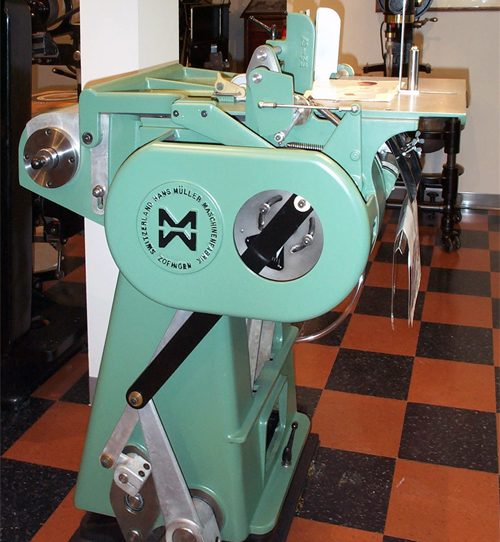 This thinking, seen here with the E3, is a great example of how Müller-Martini, as the company would be called after 1969, ended up owning the small and newly created mid-level stitching market.